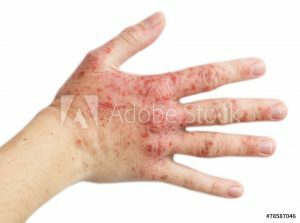 For the past 8 months I have been experiencing eczema for the first time in my life. I remember my older sister had severe bouts of it when she in her late teens. Now, at age 52 I am having my first personal encounter with it. Last night I was reading Mark Epstein, one of my favorite authors who was referred to me by my root guru Doug Duncan Sensei. Dr. Epstein was discussing the interface between Buddhism and western psychotherapy in his book titled: “Going on Being”. Some of his words sparked an insight for me connecting my scratch response to the desire for happiness in object relationships. Recently I have come to realize that the breath is connected to the scratch response. I hold my breath when I scratch. The physical sensation is initially intensely pleasurable. As the intensity increases with the repeated physical stimulation the mind becomes more focused and concentrated in a dull, stuck and tightly held kind of way. Imagine a little girl loving her dolly so strongly that the guts spill out onto the floor. Pleasure tips over into pain as the breath is held for longer periods and becomes short, sharp and shallow. There is also the wonderful sensation of the tactile feeling in the active scratching hand. As the finger nails scrape across the surface of the skin sometimes they catch on old scabs that have formed and the sensation of hooking a nail under the skin flap and tearing it off is very pleasurable. At times I like to watch the action because it feels like a disembodied process. It is not me, nor mine. It is an outside force compelling the activity. The activity is seemingly unconscious and out of control. Often times the eyes are focused away from the main event and the gaze is unfocused and unseeing as the senses narrow and concentrate on increasing the sensations. After hours and hours of investigation over months I have discovered there is a choice to remain unconscious and in a state of object desire, grasping for happiness through sense stimulation. The wisdom teachings tell us there is no lasting refuge other than the awakened state. My eczema experience has helped me to understand this on a deeper level. We seek happiness and satisfaction from objects. A sensation arises from nowhere underneath my skin and demands, entices, solicits my attention. My other hand moves to that spot on the body. Often quite unconsciously, making contact and encouraging the sensation to come out to the surface and intensify. Bumps start to form on the surface and this changed surface texture makes me want to feel the surface more to investigate and explore with my other hand this new and recently developed phenomenon. The scratching has turned the inner sensation into a hot, tingling surface tension. The inner sensations continue, the surface starts to burn and the breath is held and catches. Other parts of the body tense and contract. If I shift my attention to something else I become quite unaware of the sensations, the need to scratch. The breathing and heightened responses naturally relax and slow again. Sometime I finger the area that is now bumpy, just to poke around and see if it is still bumpy, to investigate the feelings and sensations. It feels quite unconscious and a bit like waving a red flag in front of a bull. Will I succumb to the event again? How about now? I want intensity of stimulation. I don’t want the after-event fall out, the pain, the disease, the skin breakdown, the infections. I want attention from others, the being being noticed. Watching the desire to touch, to stimulate and interfere with, all things connected to object relations. I want awakening. To seek awakening is to transcend object relations. It is to transcend humanness. Will, karma and choosing to not respond in habitual ways is the new road to discover. This is actively building the foundation and sowing seeds for the break-through. Every time I chose awakening over unconscious habit patterns I am choosing liberation for myself and 7 generations, past and future. This kind of happiness and pleasure is uninterruptable. This is a safe and lasting refuge in the storms of every-day events. 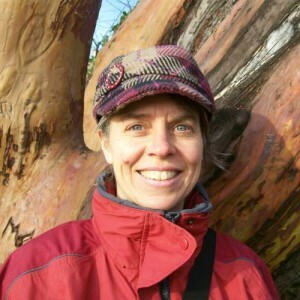 Maureen Smith (MSW, RCSW) is a Mindfulness Based Stress Reduction (MBSR) facilitator and a Registered Clinical Social Worker practicing in Eastern BC. She is the Founder of Alive Mindfully, teaching meditation and mindfulness to people from all walks of life. Find out how you can learn MBSR, or get Mindfulness Based Private Counselling, with Maureen Smith.